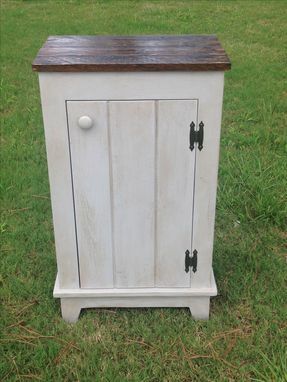 Solid Wood Cabinet with 2 shelves inside. 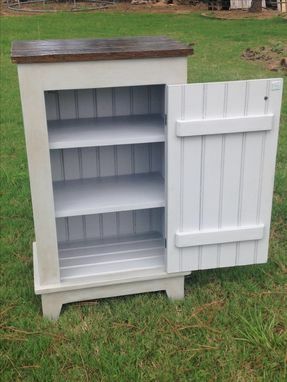 Can be made with removable shelves as well. 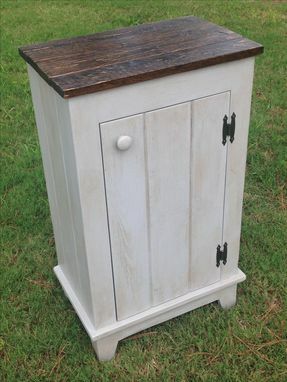 Handy little cabinet to have around the house for a little extra storage. 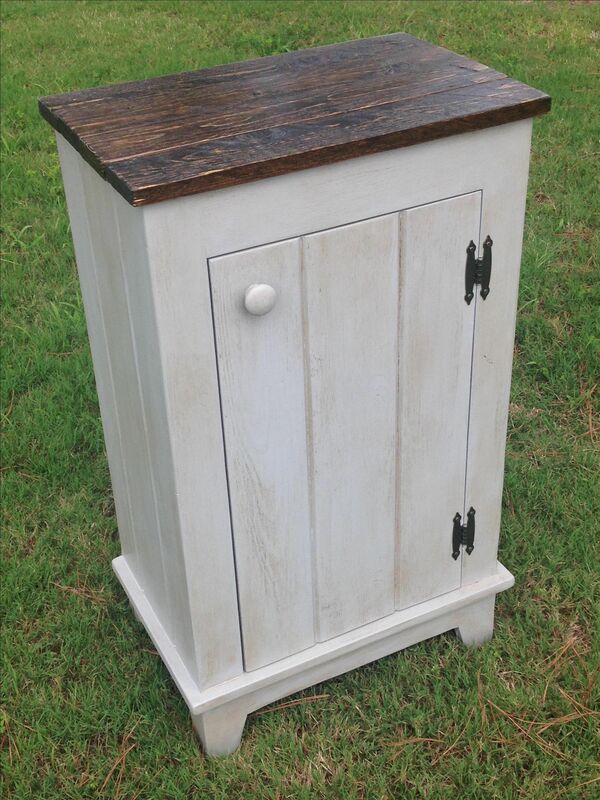 Cabinet features reclaimed wood top and painted base with antique glaze.